Watch the Macy's Thanksgiving Day Parade using live streaming instead of paying for cable. The parade takes place in New York City, where an average of 3 million people gather along the parade route each year and between 40 to 50 million people watch from home across the country. The very first parade was in 1924 and has been an annual tradition, excepting the years of World War II. NBC has broadcasted the Macy’s Thanksgiving Parade since 1948. Depending on the event or program, live streaming options may be free or may require a paid subscription and receiving device, such as a Roku, Chromecast, Apple TV, Fire TV, gaming console, smartphone, or computer. Availability of live streams from major networks through paid subscription services varies by area, so check with the service you’re interested in before signing up. Also, many subscription services run offers for you to try them out for free for a limited time. DIRECTV NOW – DIRECTV’s streaming service, called DIRECTV NOW, doesn’t require a satellite dish because it uses the internet instead, and it works with most devices. Hulu – Hulu began as an on-demand service, typically making episodes available to watch within a few days after the over-the-air broadcast, but the service now includes live-streaming options as well. Sling TV – Sling TV offers services for on-demand and live-stream television programming. Sling TV is only available in select markets, however. PlayStation Vue – PlayStation Vue is available in select markets and provides both streams and on-demand viewing options. A PlayStation console is not required because Vue works with several streaming devices. YouTube TV – YouTube TV is the paid subscription streaming TV service from YouTube. In available areas, YouTube TV offers live streaming, on-demand, and an online digital DVR recorder. If a subscription service isn’t a good fit for you or doesn’t offer live streaming yet in your market, look for a way to watch the Macy’s parade online for free. YouTube TV: Check for announcements as parade day approaches for similar free live streams. YouTube TV provides a handy list of live streams in progress for events, sports, music, and news. Verizon 360 Live Stream – Watch the parade using Verizon's very cool 360 Live Stream. This unique view of the parade lets viewers participate in a scavenger hunt to win prizes and deals. It will feature different hosts from the standard parade and offers a separate, independent audio stream. Download the YouTube app to get the full effect of this stream. Facebook and Twitter – Free social media platforms, Twitter and Facebook, both have live streaming capabilities and often live stream certain events, such as political debates, breaking news coverage, user footage, and special broadcasts. Another viewing option is through the network apps for NBC and CBS (the event also aired on CBS in 2016). If available in your area, these apps often require a cable or TV provider log-in to watch live events. However, if you are away from home for the holiday and have a TV provider log-in, the apps allow you to watch the parade from Aunt Sally’s house without taking over her TV. NBC Live App and Website – NBC offers live streaming in limited major markets with the company's mobile app or through the live tab on the NBC website. If NBC offers live streaming in your market, it may require a satellite or cable TV provider log-in to watch live events. CBS All Access – CBS All Access is also only available in select major markets and both the app and website require a TV provider log-in to access live stream events, or you can sign up for a paid monthly subscription. 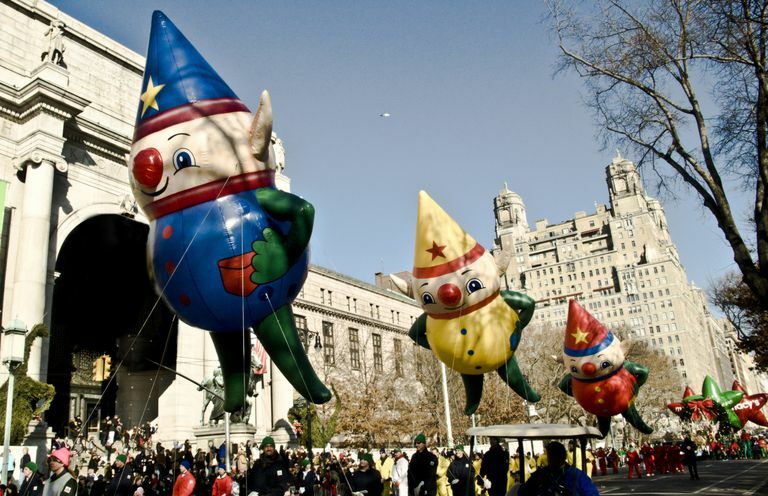 The Macy’s Thanksgiving Day Parade airs every year on Thanksgiving Day beginning at 9 a.m. Eastern Time. If you are live streaming the parade, you will be watching in real time as it happens, so take your time zone into account. However, if you're watching on broadcast TV, the event airs at 9 a.m. in every time zone (time delayed in non-ET time zones) through local affiliated stations. The live streaming options we’ve listed may not be available in all markets as coverage varies by broadcast area. Also, special arrangements for free viewing are usually announced a week or two before the event, so keep an eye out for additional options in the days leading up to the Macy’s Thanksgiving Day Parade.